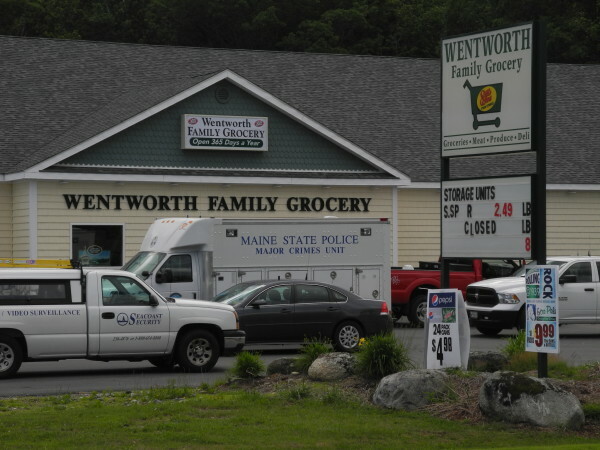 The Wentworth Family Grocery Store was closed Monday as police investigated a reported burglary. 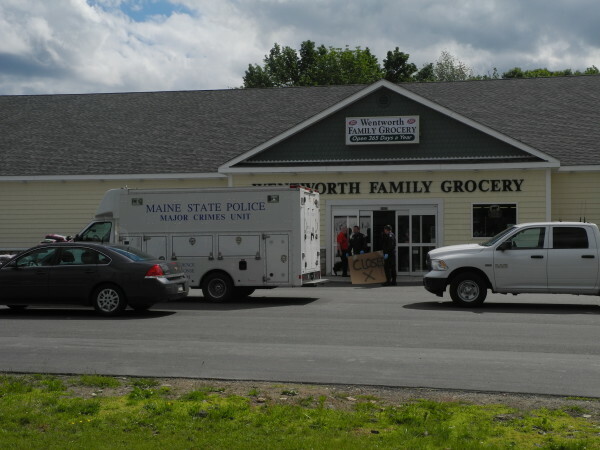 NORTHPORT, Maine — A Maine State Police major crimes unit truck was parked in front of the Wentworth Family Grocery Store in Northport all day Monday, as police investigated a burglary that happened overnight. The Route 1 business was closed all day, with vehicles, shopping carts, a bag of mulch and signs scrawled on cardboard blocking off access to customers. Officers wearing uniforms and gloves moved between the store and the evidence truck while other vehicles from private security firms crowded close to the front door of the market. The burglary was reported to police dispatchers at 5 a.m., according to a news release issued Monday afternoon by the Waldo County Sheriff’s Office. Deputy Merl Reed and Detectives Dale Brown and Gerry Lincoln responded to the complaint, with Brown assigned to be the lead investigator. Lt. Jason Trundy wrote that members of the Maine State Police Evidence Recovery Team were called to assist with the processing of the scene, which remained under investigation. Drivers who pulled up to get gas from the pumps Monday afternoon watched the activity with curiosity. Bryant Hall, who owns Pizza Permare, a neighboring business, said he saw the grocery store was closed Monday morning and heard there had been a burglary or a robbery.